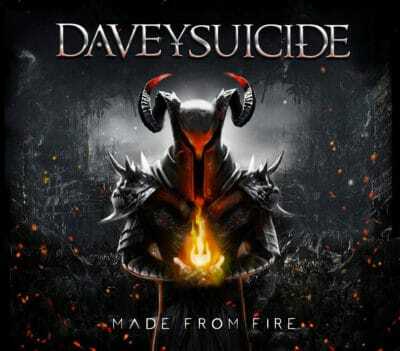 Made From Fire is the latest CD Release from the band Davey Suicide. For fans of bands such as Rob Zombie, Korn, Five Finger Death Punch and Marylyn Manson, this album is definitely for you. 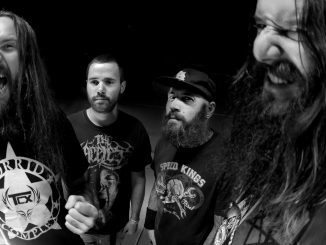 Made from Fire and its industrialized urban metal consists of fourteen songs clocking in at a little under fifty minutes and it will be a welcome addition to your music catalog. Vocalist Davey Suicide and the rest of his band are made up of Niko Gemini (guitar), Derek Obscura (bass), Drayven Davidson (drums) and Needlz (keyboards). They play self-proclaimed “Gutter Goth Rock” from the streets of “UnHollywood Killafornia”. 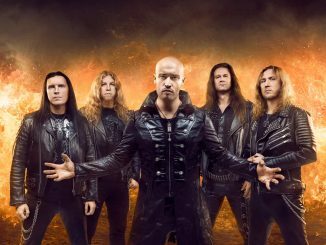 The album hits hard from the beginning, and has some great rocking tracks such as the opening track “Rise Above” and the song “Torture Me” which has a chorus that one cannot get out of their head. Other stand out tracks are “Anti-System Revolution”, “No Place like Hell”, and “Dancing with the Reaper”. The other tracks are very well put together, though they may lack the excitement or driving rhythms. Not saying that these tracks are not good, there are some missing ingredients from the stew that unfortunately makes the tracks lack a punch. “Paralyzed”, “Take the Pain Away” and “The Chemical in You” sound more generic than the stand out tracks on this album. 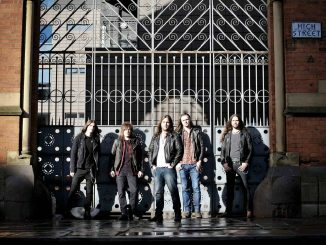 The plus side is that these give the album some balance and potential radio friendly singles that could help the band grow their fan base. The closing track, “The End of the War”, is decent ballad. It would have been best served as may be a track in the middle of the album as opposed to the end. Overall, this is a very good record, for those who enjoy hard rock with industrial or electronic elements thrown in. This record gets a 7 out of 10. You can purchase on iTunes, Amazon, Google Play, or anywhere music is sold.